The late May bank holiday weekend sees the return of the Fibre and Fabric Fair this year (Sat 26 / Sun 27 May, in the Memorial Hall, open 10am – 4.30pm). It’s not quite like the craft fair in that, for the makers, the focus is on demonstrating their craft – and that means plenty of opportunities to have a go (though it is, of course, a great chance to buy some beautiful things). So who will be there? The first of our craftspeople is Annie, from Mam a Mi. 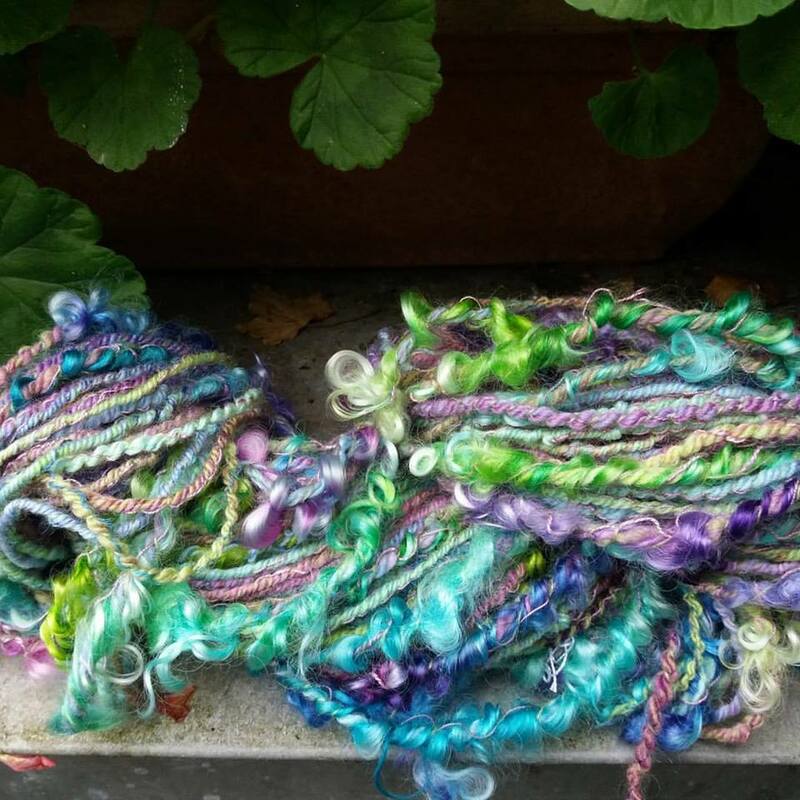 Annie is a brilliant dyer and spinner, and will have hand-dyed fibre and yarns for sale, as well as items made from her handspun yarn. 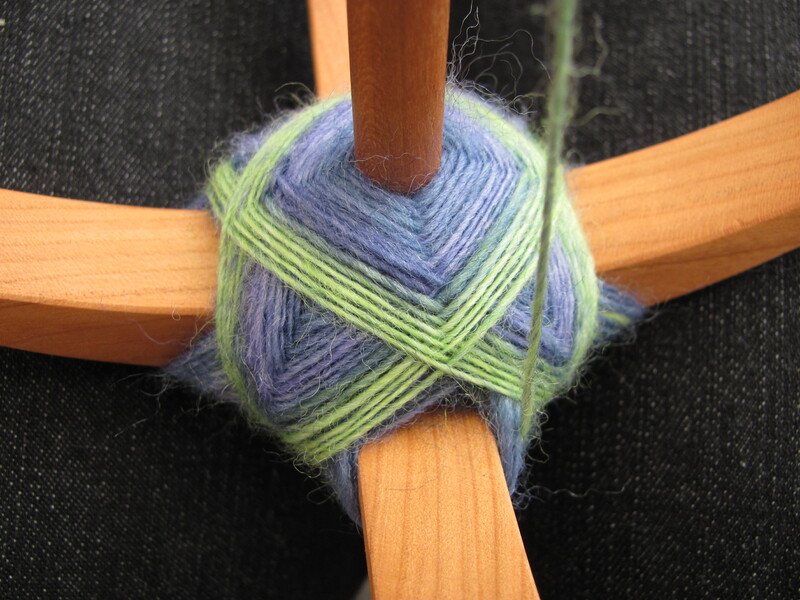 She’ll also be demonstrating spinning, specifically spinning art yarns. 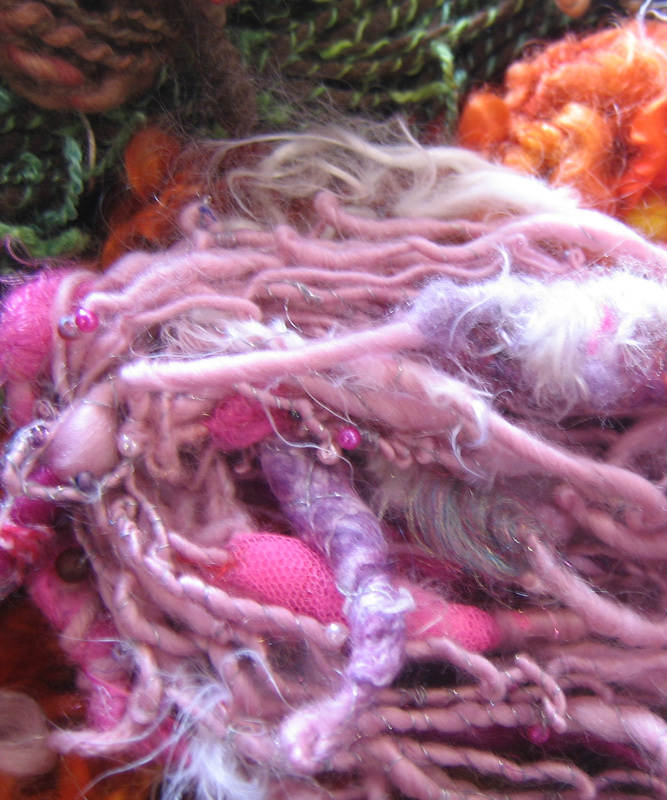 What are art yarns? Well, they are unique and inventive yarns, made using specific techniques like core spinning or making cocoons. They can be used in a number of various ways, and not just in knitting. The textures work amazingly well in weaving, and they’ve ben incorporated into appliqué and embroidery projects. 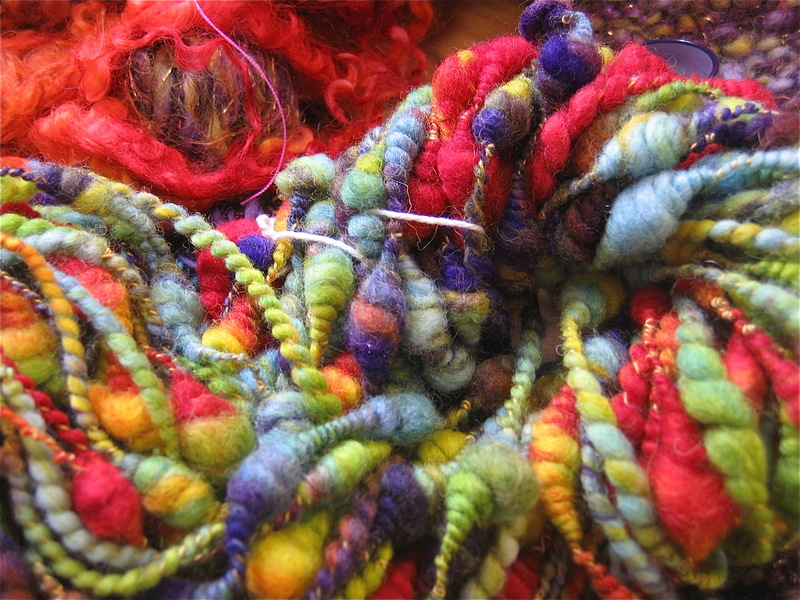 So if you’ve always wanted to try at the oldest way of spinning (going way, way back in history), or wanted to try producing an incredibly unique yarn, or just fancied having a go and plunging into a world of colour, come and see us!